August | 2014 | Whats Happening? Win Tickets to the Flip Flop Beach Music Festival in Greensboro! STOKES COUNTY, N.C. — Saturday night’s wreck involving Tony Stewart hits home for many drivers in the Triad. NASCAR driver Tony Stewart hit and killed another driver who was walking on a track during a dirt-track race in upstate New York. It’s not unusual for some NASCAR drivers to race on smaller speedways – Stewart raced at 311 Motor Speedway seven years ago. Everyone agrees that the death of the young driver was a tragedy, but now folks are rethinking race safety. Mike Fulp owns 311 Motor Speedway in Stokes County. He said he understands that tempers flare during the races, but safety comes first with speeds up to 140 miles per hour. WINSTON-SALEM, N.C. — If you’ve ever wanted to be an extra in a movie, here is your chance. 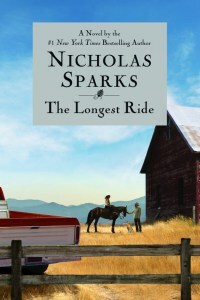 The Longest Ride, based on the Nicholas Sparks novel, is being filmed in Winston-Salem this weekend. The 7th Annual Carolina Summer Music Festival is underway in Winston-Salem. It offers great music for people of all ages including a Jungle Book event for kids. Tickets start at $6. WINSTON-SALEM, N.C. — The new Nicholas Sparks movie, The Longest Ride, will be filming in Winston-Salem this month and volunteer extras are needed. Filming will take place Tuesday, Aug. 5-Saturday, Aug. 9. Extras will need to report to the Lawrence Joel Veterans Memorial Coliseum and follow the signs to the Extras parking lot. All Extras working as background for the day will receive a lunch, and snacks throughout the day. Bull riding scenes will be filmed, so extras will need to wear western gear. The film, based on the book, follows two love stories: one told through the memories of a 90-year-old man fading in and out of consciousness thinking back on his life with his late wife, and the other a new romance blossoming between a young college student and a handsome bull rider.